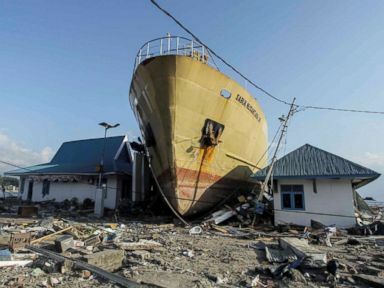 The death toll for Sulawesi’s earthquake and tsunami last Friday has risen to more than 1,200, according to Indonesia’s national disaster agency. Police are having to deal with a delicate security situation as desperate residents have crowded convoys and scuffles have broken out as people fight for limited but critically-needed supplies. Stores and gas stations have been looted and cleared of basic goods — leaving desperate survivors waiting and hoping for aid supplies to make it north. 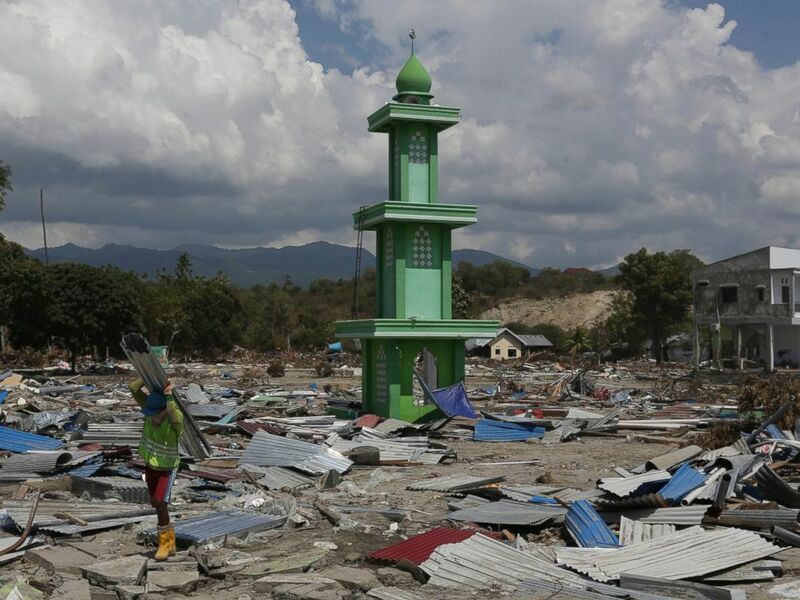 “We have not eaten for three days,” one woman cried as a cargo plane’s pilot chose not to land on Sunday at Mutiara SIS Al-Jufrie Airport in Palu, because the it was overrun by hungry residents. Below, Palu’s Petobo neighborhood is seen on Aug. 17, and then again on Monday. 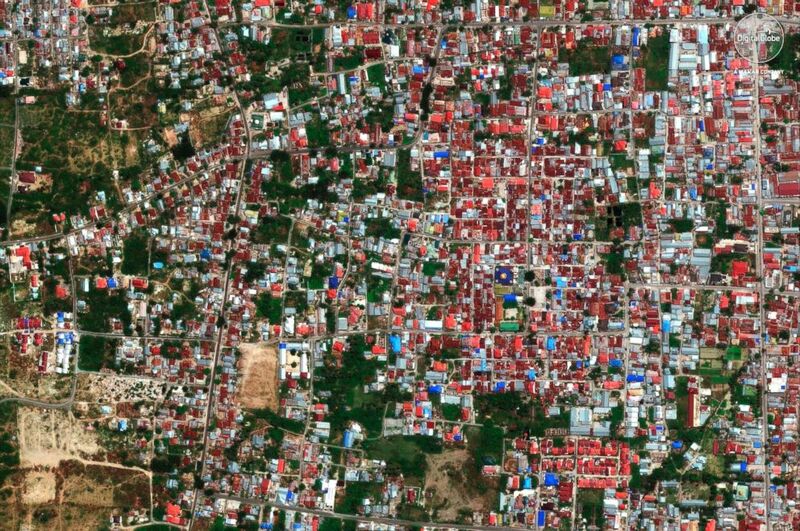 A satellite image taken Aug. 17, 2018 shows the Petobo neighborhood in Palu, Indonesia. 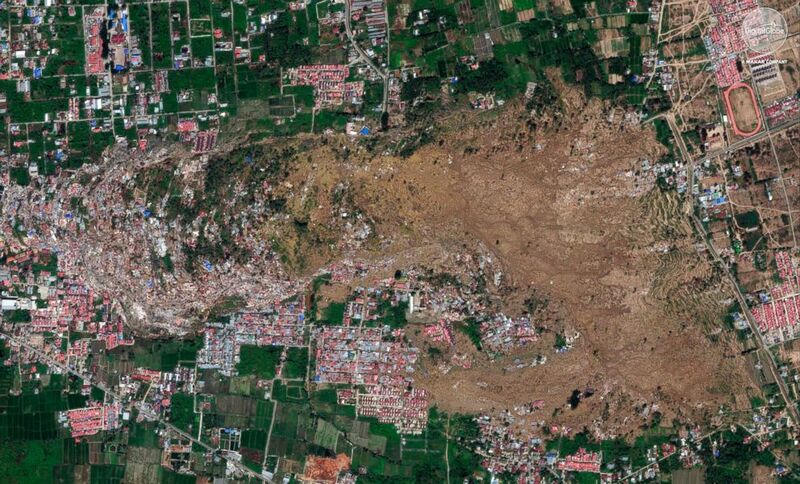 A satellite image provided on Oct. 1, 2018 shows the the Petobo neighborhood in Palu, Indonesia, after an earthquake and subsequent tsunami caused substantial damage and liquefaction in the village. In some images the effects of liquefaction — where the vibrations and tremors in an earthquake cause the ground, and everything built on it, to ripple and move like water — and landslides is stark. 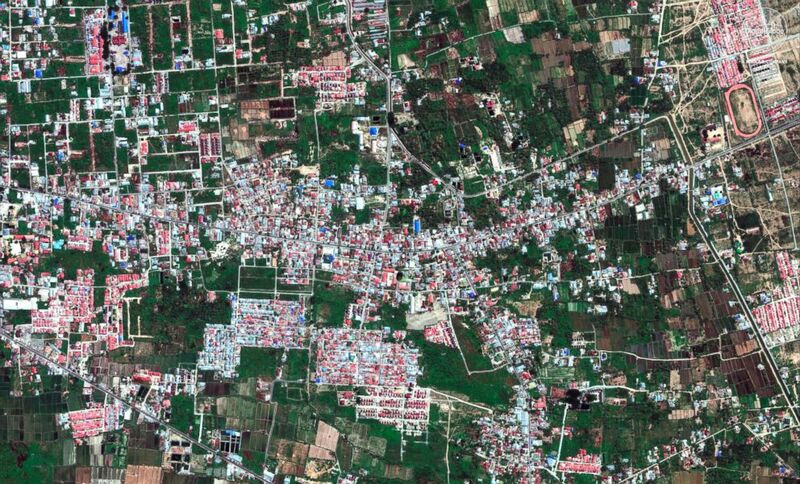 A satellite image taken Aug. 17, 2018 shows the Balaroa neighborhood of Palu, Indonesia. 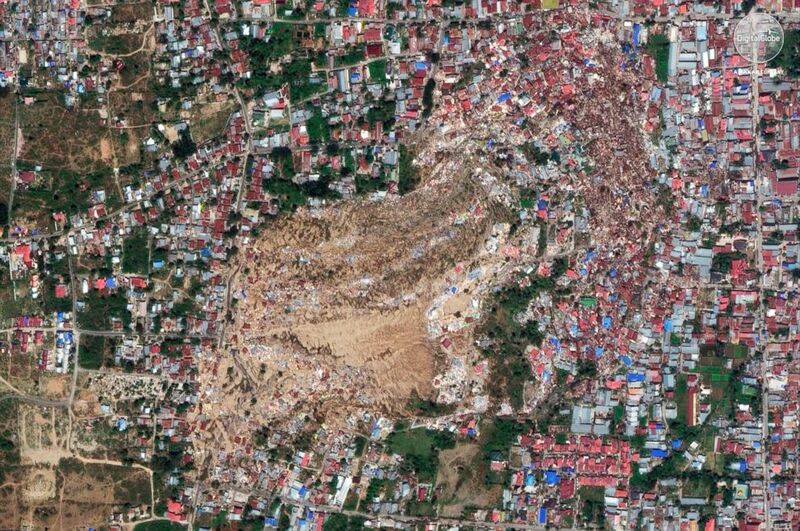 A satellite image provided on Oct. 1, 2018 shows the Balaroa neighborhood of Palu, Indonesia, after an earthquake and subsequent tsunami caused heavy damage to the area. 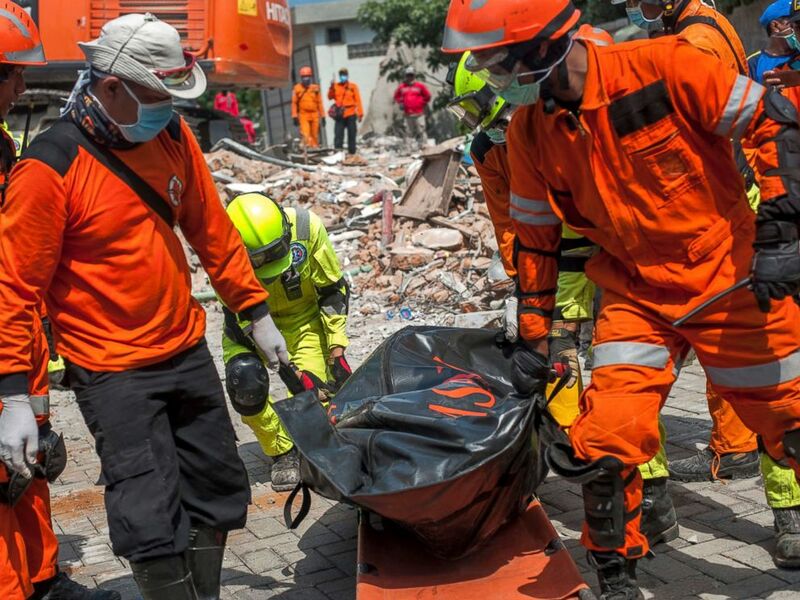 Rescuers recover the body of an earthquake victim from the ruins of the collapsed Roa Roa Hotel in Palu, Central Sulawesi, Indonesia, Tuesday, Oct. 2, 2018. A man carries recovered items from the damaged warehouse from Friday’s tsunami at a neighborhood in Donggala, Central Sulawesi, Indonesia, Tuesday, Oct. 2, 2018. 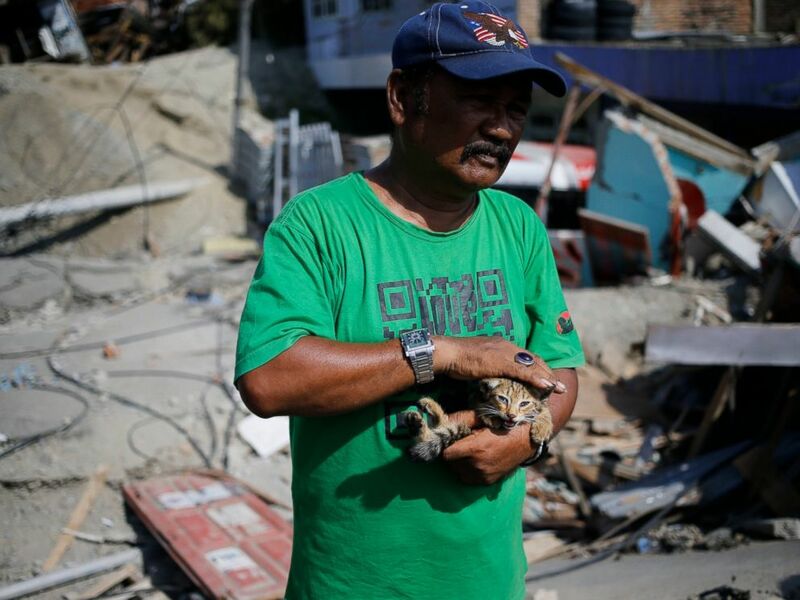 Sa’adon Lawira holds his grandson’s cat whose miauw helped him finding his body which was buried under the rubble of the family’s house in Balaroa neighborhood in Palu, Central Sulawesi, Indonesia Indonesia, Tuesday, Oct. 2, 2018.